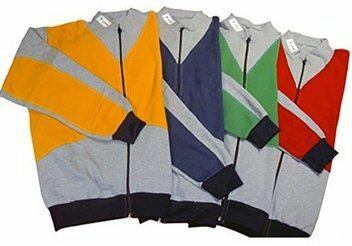 Same as the Standard Monard shooting sweater, except that it is made to your measurements. Prices shown are the base price. *BONUS* – Price shown includes free lettering on pants and Jacket. 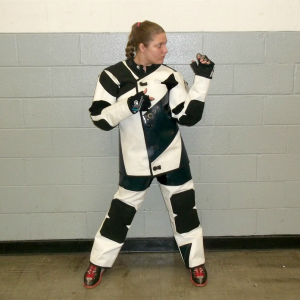 Ask me about our “Test Suit” option. If you are looking for a little extra excitement, you can add some Letters and Metal Buttons. 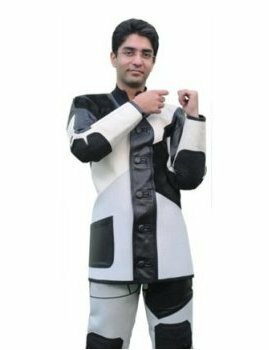 Wearing the Super Extended Suit is Abhinav Bindra. Bindra has many world class competitions under his belt and won the Gold in Men’s Air Rifle at the 2008 Olympic Games in Bejing. This was the first individual gold medal for India ever. Once you have made your selection, please click the “Let’s Talk” tab below and let us walk you through the measuring and customization process. Prices shown are the base price. 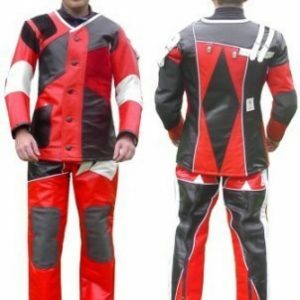 **Bonus** – Price shown includes free lettering on pants and Jacket. Wearing the Olympic Suit is Roger Hansson from Sweden. 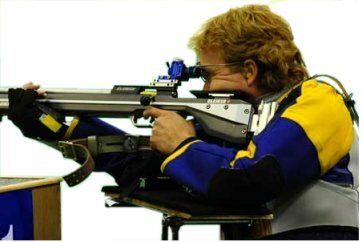 Hansson competed for Sweden in rifle shooting at two Olympics games in 2000 and 2004 and has attained numerous top ten finishes in major international competitions including the ISSF World Cup and the European Championships. 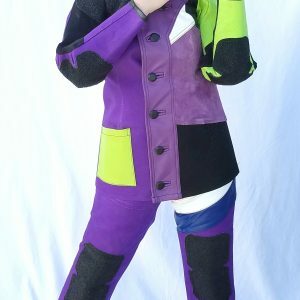 Sam Andersson from Sweden is wearing the Super Nanotech Suit. Andersson won the bronze medal at the 2014 WC in Beijing. He has also competed at several European Championship and World Cup competitions. Prices shown are the base price. *Bonus* – Price shown includes free lettering. Once you have made your suit selection someone will have to measure you. The best way to make sure you get the perfect fit is to have a conversation with us before going further. Contact me by phone: 720-670-6818 or Email: robert.oberle@oberleenterprises.com . 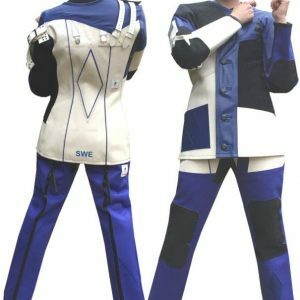 If we can not do the measuring, read our Measuring for Custom Clothing page, download the appropriate forms and fill in the forms. Please contact us for any questions that come up. 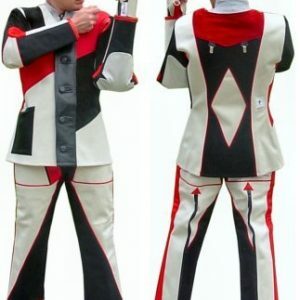 I would rather talk 1000 times than order a suit that does not fit. Someone once said “Measure twice, cut once”n process. Wearing the Prone Jacket is Guy Starik from Israel. He has competed in four Olympic games and has had multiple gold medals at both the European Championships and at four World Cups. He shares the world record in the 50-meter rifle prone competition. 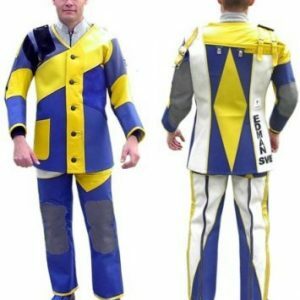 Sweden’s Jonas Edman wears the Air Rifle Suit. Edman was part of the winning team at the 1998 ISSF World Shooting Championships in Zaragoza Spain, received a gold medal in the 2000 Olympics in 50m Prone, and won the 2001 ISSF World Cup Final in Munich. Sweden’s Jonas Edman wears the Super Suit. 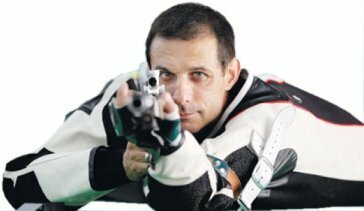 Edman was part of the winning team at the 1998 ISSF World Shooting Championships in Zaragoza Spain, received a gold medal in the 2000 Olympics in 50m Prone, and won the 2001 ISSF World Cup Final in Munich. Prices shown are the base price. Paralympian Jonas Jacobsson from Sweden wears the Paralympic Jacket. Jacobsson has participated in nine consecutive Summer Paralympics from 1980 – 2012 winning a total of 17 gold, 2 silver, and 9 bronze medals. He is the best performing male Paralympics contestant so far. He is also the first physically disabled athlete to receive the Svenska Dagbladet Gold Medal, Sweden’s most significant sports award.